Installing a Firewall for Ubuntu 8.04 LTS – 9.04 and above. Turning on the Ubuntu Firewall can protect you even better from hackers who want to hack into your Ubuntu based Firewalls since the Ubuntu Firewall blocks outsiders from getting into your computer. Turning on the Ubuntu Firewall from Terminal only takes a few minutes to do to increase Ubuntu’s network and internet security. 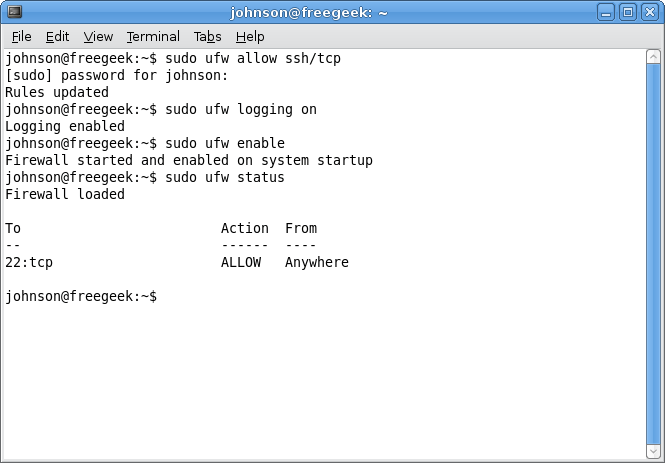 Login with an Administrator account for Ubuntu. Start Terminal by going to Applications>Accessories Terminal.